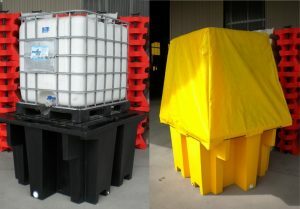 Are you after oil drum spill pallets or a 2 drum spill containment pallet for your next industrial job? Take care of any excess liquids with one of our robust spill bunds. Ensure any liquid spillages from oils, chemicals or other waste is safely secured by a bunded spill tray. 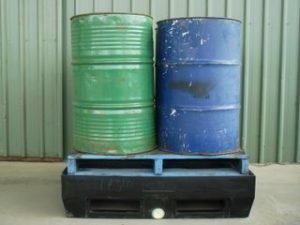 Due to the health and safety hazards of certain liquids and spillages, a spill control pallet helps you comply with EPA regulations and legislation requirements. Ensure you are complying with EPA regulations. Current legislation states bunded pallets must be 25% of the total stored, or 110% of the largest container, whichever is the most. 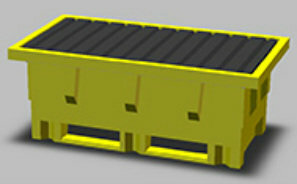 Holds 4 x 200-litre drums. 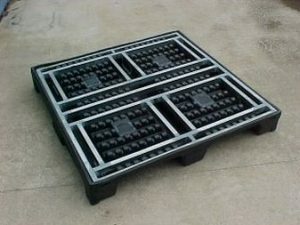 Along with our catalogue of bunding pallets and other accessories, we can also provide a custom-made spill containment platform for your company. Get in touch with one of our designers to learn more about how we can create a tailored spill bund product to suit your project.